Our range of products include manually and electronically operated Skylights and Roof Windows, together with Blinds, Sun Tunnels and Accessories. VELUX is the market leader in Skylights and is one of the strongest brands in the global building materials sector. It’s products are sold in most parts of the world and they supply the best possible products in terms of quality, functionality and value-for-money. We need daylight to regulate our biological clock, which needs light to make us feel fresh and well-rested in the morning and tired at night. Daylight directly affects our well-being, moods and also our performance. 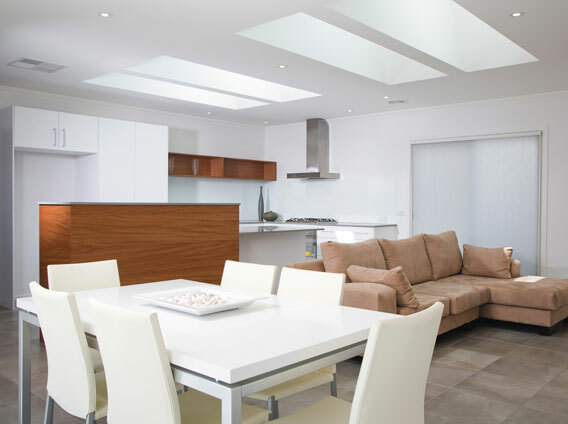 Fixed and operable Skylights are ideal when you require extra light in your home. They let in twice as much light as vertical windows and will make a great impact on your living environment. Artificial lighting is one of the largest sources of energy consumption and on average accounts for 40% of the building’s total energy costs. With proper design, the cost of skylights is often paid back in less than two years. 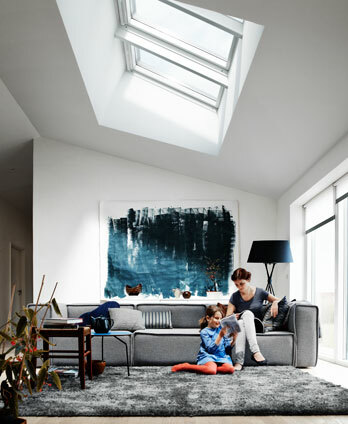 The high visible light transmittance afforded by VELUX skylights allow artificial lighting to be turned off on average of 70% – 80% of the time.